I can't believe this year is coming to an end already. But has been a really good year. I am so happy I started this blog and never expected to even have anyone read my ramblings and I imagined that by this time I would have given up or have 10 followers at best. I was inspired by Becky Bedbug to do this post as she did one similar and, low and behold, I have! 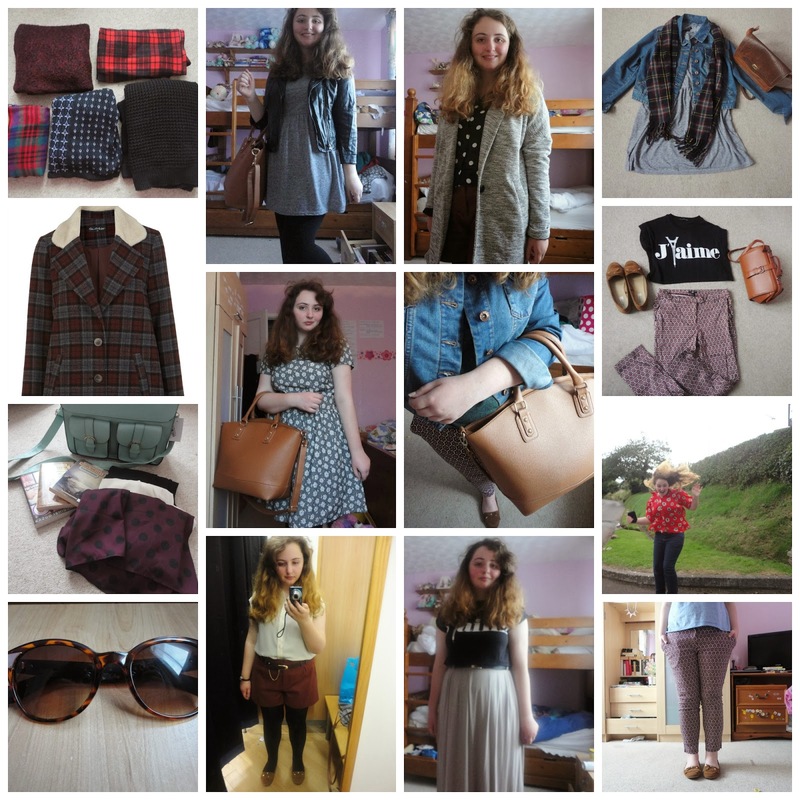 So, I have put together some of the OOTDs and pictures from fashion posts into one collage - despite some of them being cringey. I hope you enjoy this blast from the past! I would love to hear which is your favourite outfit and I assure you that there will be many more to come! Hope you all have a happy New Year and when the clock strikes 12 you will have a lovely guy/friend/family member/chocolate bar to share the moment with (I think you can probably guess which from the list I will be spending that moment with - yes, a lovely man named Terry...'s Chocolate Orange). You can all come and chat to me and Terry, Ben and Jerry (my harem of admirers) on Twitter at @TheEmeraldDove. Also there is a poll in my sidebar which I would love for you to vote on. I've had the same idea - it's so great to look back on all the lovely clothes you've been wearing throughout the year. I love the dress! There are two looks I favor on you. The one with shorts and the pic above the shorts one, the grayish kinda polka dot dress. Totally love the looks on you. Would you like to follow each other on GFC? Please let me know on my blog so I can follow back. Thank you. Thx bunches honey. Following back on GFC #83. Let's keep in touch shall we.